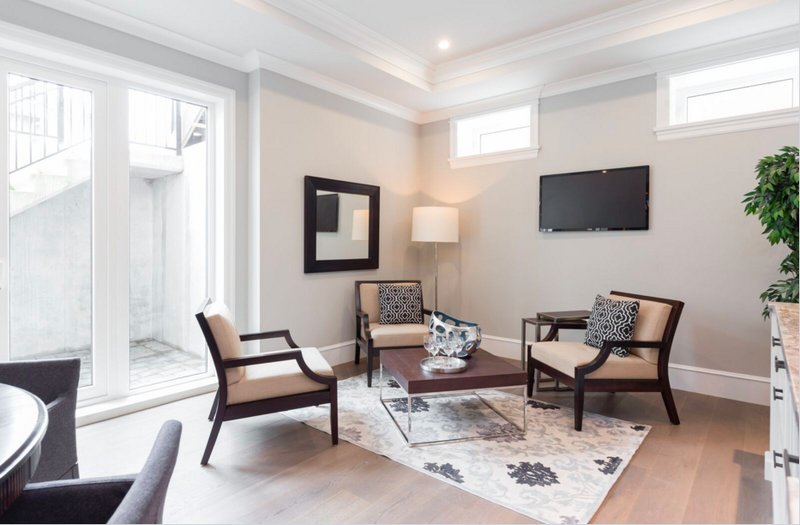 A new Dunbar home possesses the craftsmanship of yesteryear with compact convenience indoors, thanks to the work of architect John Henshaw and lead interior designer Joy Chao. “Working on the project from the planning stage, we could incorporate all the features that the owner wanted in the most space-efficient yet visually pleasing way,” Chao says. The owner, who was building for resale, wanted a contemporary interpretation of an upscale traditional home. 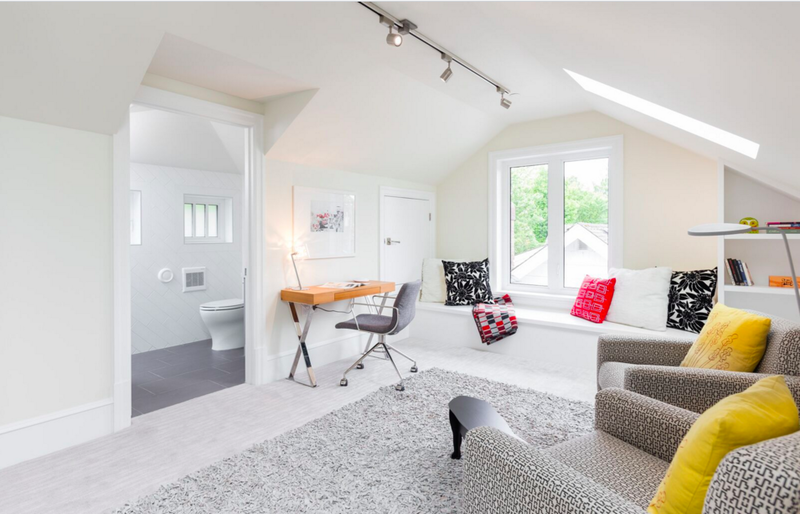 To respect municipal bylaws and the neighbourhood’s character, the exterior of the home was designed as a modern take on the traditional Craftsman style, albeit with additional space incorporated into a cleverly designed attic. Henshaw and Chao, of John Henshaw Architect Inc., installed classic woodwork at every turn. Most of the rooms were given crown moldings, dropped or coffered ceilings and high baseboards that add heft without heaviness. 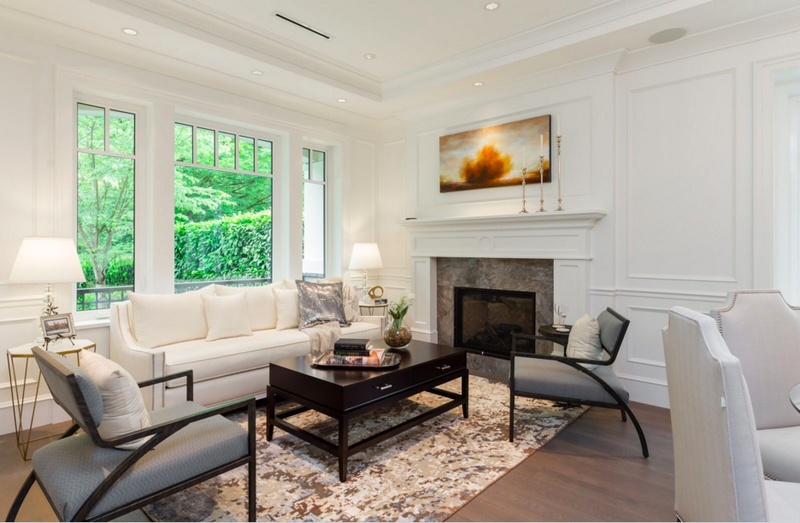 “We aimed for a modern take on what people had in fancier Vancouver homes at the turn of the 20th century,” Chao says. The foyer is a grand entrance with its marble tiles laid out in Art Deco tessellation. A chandeliered ceiling and expansive archway frame the combined living and dining room in a formal manner. 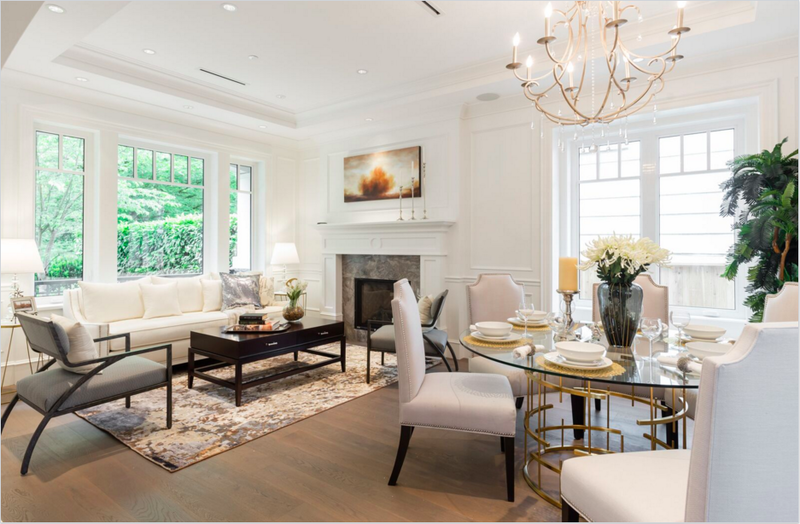 A simpler chandelier anchors the dining area and highlights the home’s 10-foot-high ceilings. “I like a bit of shimmer to catch the eye, but I find too many people go overboard with crystals,” Chao says. Henshaw remained true to the charm of yesteryear’s fenestration with a modern take: windows that allow for the side panels to open easily. “People nowadays want huge panes to allow as much natural light into their homes as possible, but windows must be in keeping with a home’s overriding character,” he says. The ceiling inlays conveniently store security wiring, built-in speakers, cooling ducts and other smart-home features. Henshaw and Chao made use of the limited kitchen space by opting for a larger island instead of a dinette. “We created a breakfast nook right at the kitchen island,” Chao says. 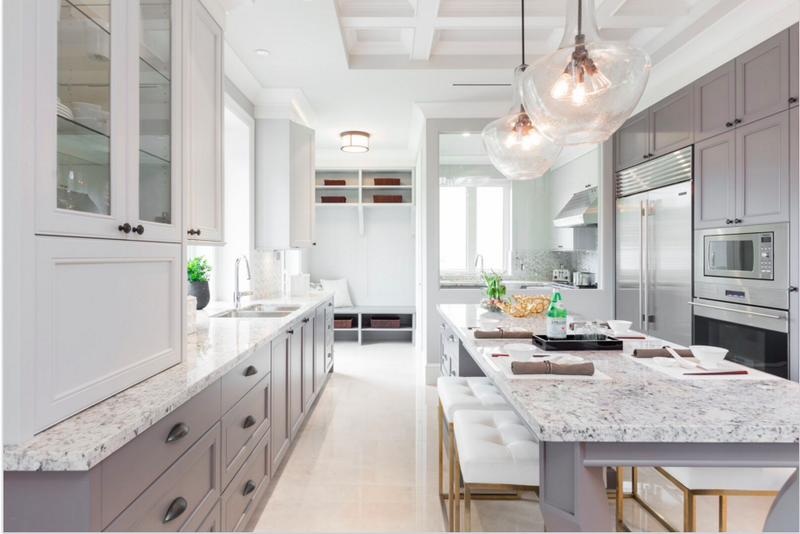 The lower cabinetry is grey, a colour that is repeated in the home’s stained oak floors, while the upper cupboards are a brilliant lacquered white that confers airiness. “It wasn’t easy but we also found white granite with only traces of grey to make the counters nice and bright, too,” she says. 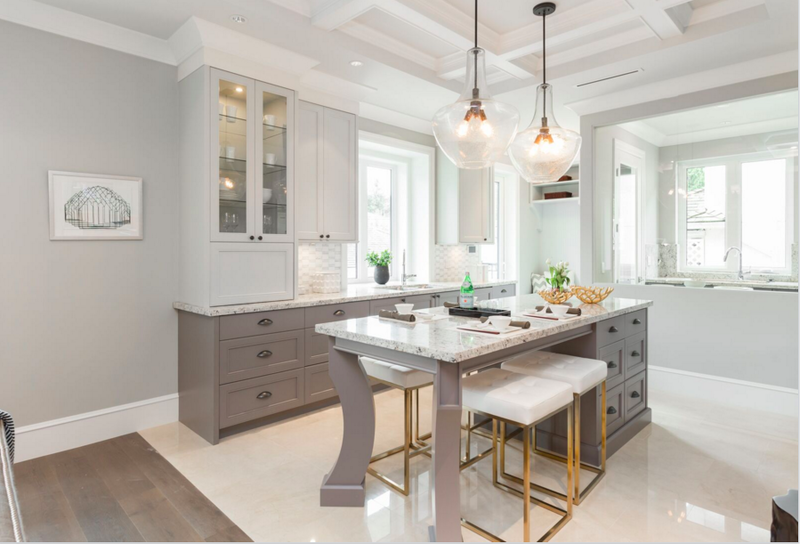 A coffered ceiling gives the kitchen its historic character. “It also visually elongates the space,” she adds. Here, Chao installed large pendant lights over the island. “It may seem counterintuitive, but you actually make a compact kitchen feel bigger with larger fixtures than with lights that are too small,” she explains. The sophistication of a bygone era is incorporated into a small office through a custom-built oak library. Its lit shelving reflects the fact that people read e-books these days and would prefer the space to showcase treasured artefacts or to store a printer. 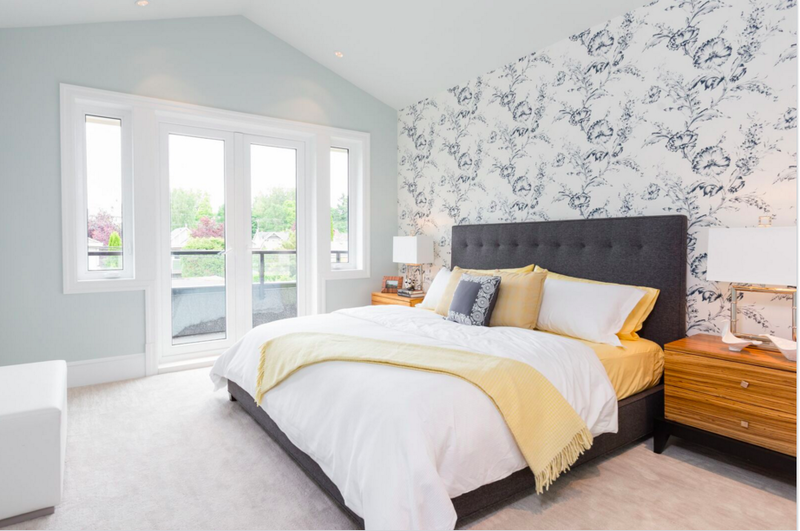 Limited space within the master bedroom was made to feel more expansive by incorporating the roof’s slopes and an ensemble of windows and patio doors that open to a Juliet balcony. The master suite recalls the heyday of posh hotels with its marble floor and walls, accented with slight Art Deco touches. 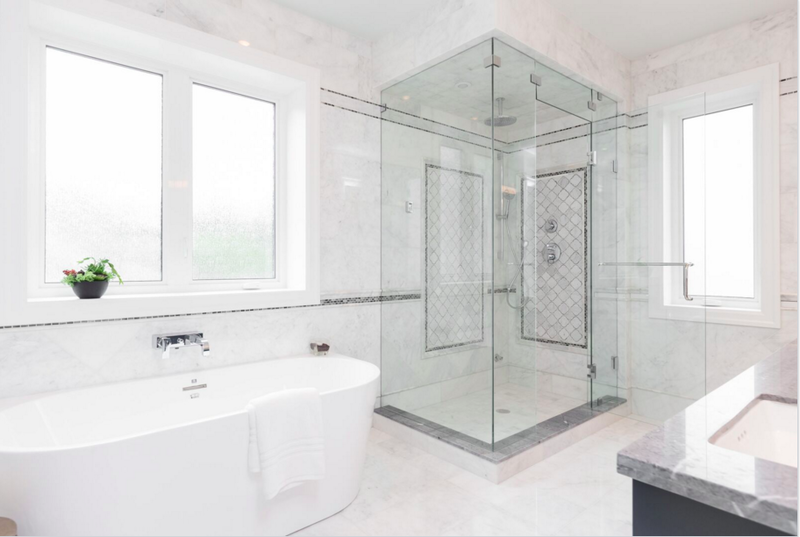 “We actually combined already assembled mosaic tiles with the marble to achieve a more interesting layered room that wasn’t overly costly or labour-intensive,” Chao says. 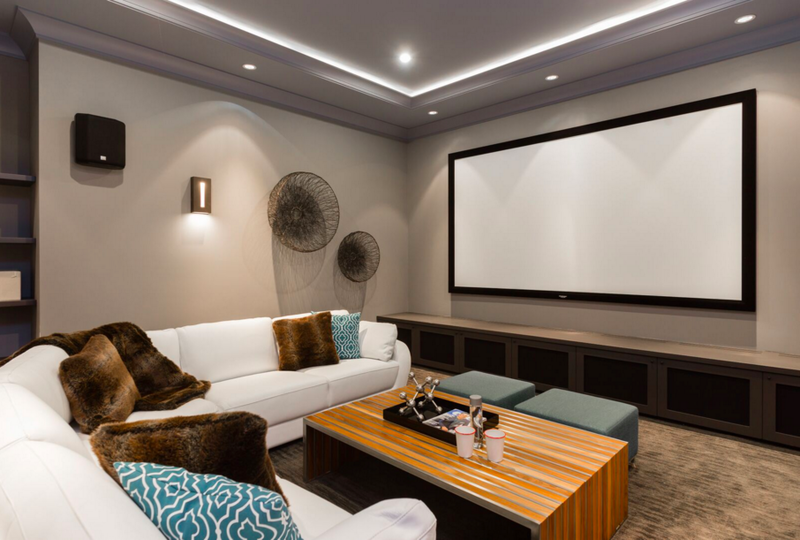 New construction allowed the owner to dig sufficiently deep for a walkout basement with 10-foot-high ceilings so that no one feels cramped in the games room or the home theatre.